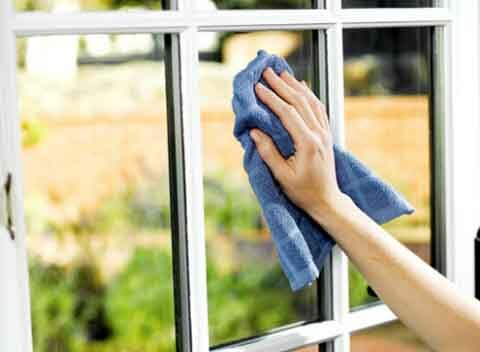 Removing ordinary dirt such as dust, fingerprints, and oil from windows seem simple enough. However, sometimes, you may find stubborn caked-on dirt or debris on your windows that cannot be removed by standard window cleaning techniques such as scrubbing or using a squeegee. The best way to remove caked-on dirt on your windows is to scrape it off. Nonetheless, you have to be extra careful when you are scraping your windows, because they can be easily scratched and damaged. Here are a number of rules that you need to follow when you are scraping windows. Rule No. 1: It is recommended that you use a professional window scraper to remove caked-on dirt and debris from your windows. This type of scraper is specially made for use on glass, and it comes with certain features that can prevent scratching and other kinds of damage. Rule No. 2: It is important to inspect your window scraper before using it. Take a look at the blade of the scraper and make sure that it is not rusted. Also, it must not be bent or chipped off at the corners. If you are not certain whether the blade is in a good enough condition, you should just play it safe by using a new blade. Rule No. 3: When you are working with a window scraper, always use forward plow-like scraping motions. Scrape forward and lift the scraper off the glass, and then scrape forward again. Try not to slide the scraper backwards, because you may trap debris under the blade when you do so. Consequently, the scraper may scratch the glass. Rule No. 4: Be extra cautious when you are using a window scraper on tempered glass. Tempered glass may have raised imperfections, which make it more vulnerable to scratches. To find out if the window that you are scraping is made of tempered glass, you have to look for a label in one of its corners.